Our company, which is aware of the introductory and close customer relations, participated in automechanika 2016 Fair in Istanbul Tuyap, the promising automotive industry. We have had the opportunity to introduce products and the latest products we have developed to many companies in exhibition. Automechanika 2016 fair was very useful for our company in terms of improving our relations with our customers and reaching potential customers. 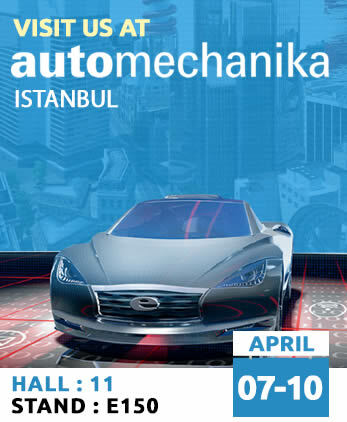 GLOBAL Gas Springs participated in automechanika 2016 Exhibition in Istanbul between 7-10 April 2016.